I’m asked regularly “What are you planting now?” or “What should I plant at this time of year?” So, I’ve decided that a monthly planting guide is the way to go. Obviously, climates vary across the globe during each month of the year, but I will try to cater for most of you whether you’re in the southern Hemisphere like us, or still snow covered in the Northern Hemisphere, let’s hope you start to thaw out soon! We’ll divide the guide first by Hemisphere (northern or southern) and then by climate (cold, temperate and sub-tropical – tropical). In this way, most planting zones should be covered. Those in cold climate regions of the southern hemisphere can start to think about brassicas. March is the time to plant broccoli, cabbage, cauliflower, Brussels sprouts, Asian greens, broad beans, carrots, spinach, kale, leek, lettuce, silverbeet, spring onion, radish, swede and turnip. In southern hemisphere temperate areas, you can plant all of the above with the exception of spinach (still too warm) and the addition of beetroot, onions, parsnips and peas. 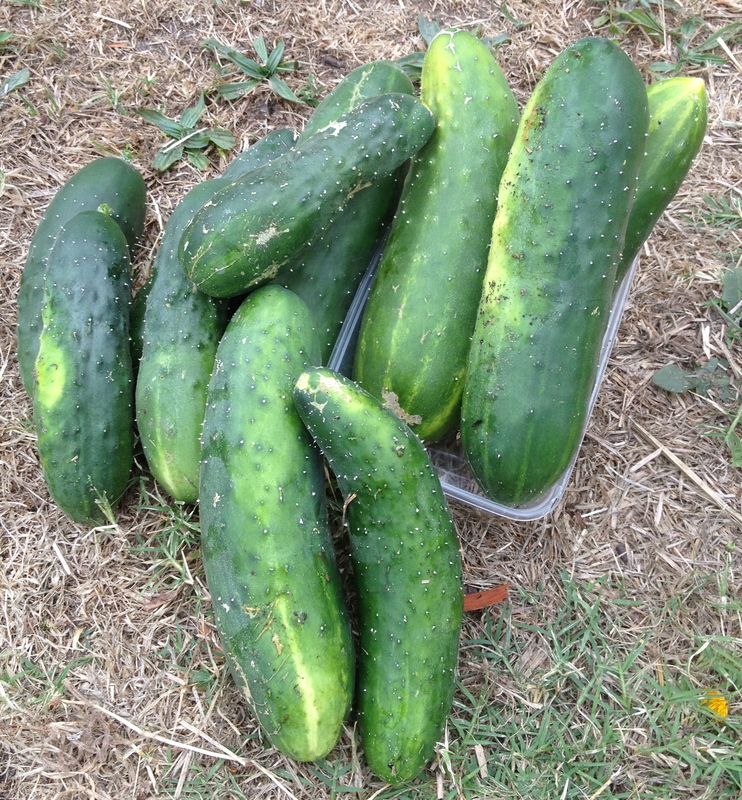 cucumber can be sown in sub tropical/tropical climates in March. 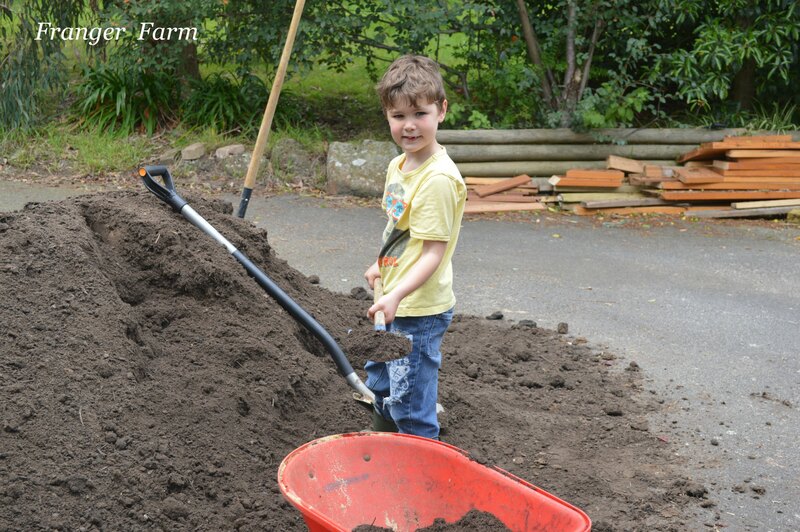 Those in the sub tropics and tropics can begin sowing beans, Broccoli, cabbage, chilli and capsicum, carrots, cauliflower, cucumber, eggplant, Kale, leek and lettuce, potatoes and sweet potatoes, silverbeet, spring onions, sweetcorn, yam and tomatoes. 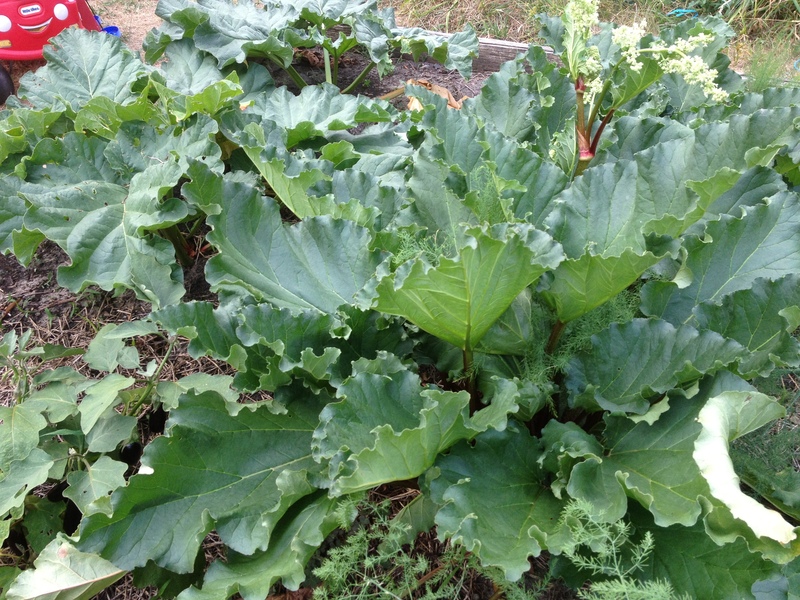 Rhubarb can be planted in a cold climate in March. Northern Hemisphere cold climate folk can begin to dream of summer this month. 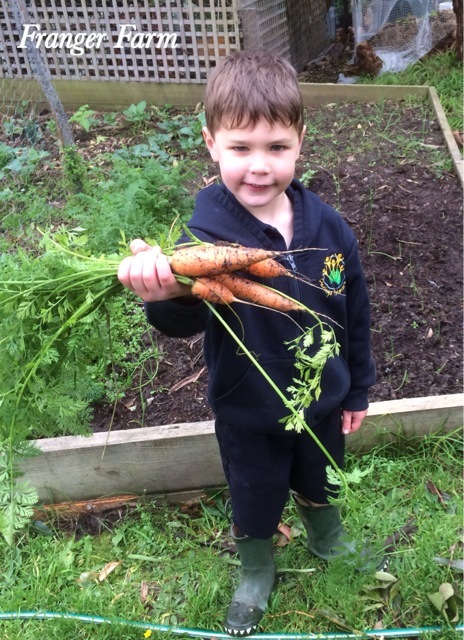 In March you can plant Beetroot, cabbage, carrots, Asian greens, Lettuce, peas, potatoes, radish, silverbeet, squash, swede, turnip, tomatoes and rhubarb. Those in a temperate climate can plant all of the above with the addition of Beans (dwarf and climbing), capsicum, cucumber, leek, spring onions, pumpkin, sweetcorn, sweet potato and tomatoes. 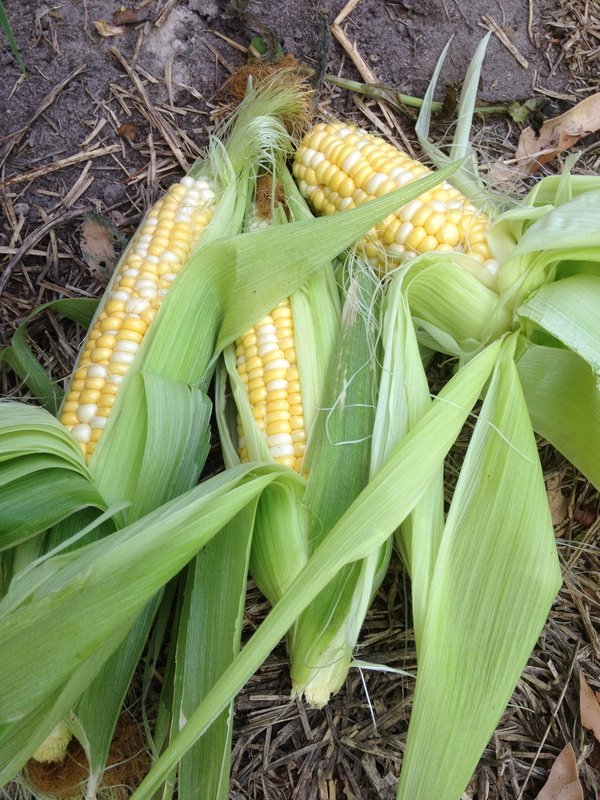 Sweetcorn can be planted in the sub tropics/tropics. The lucky people in the sub tropics to tropics can really get planting in March, here’s what needs to go in. Beans (dwarf and climbing), beetroot, broccoli, cabbage, Asian greens, cucumber, carrots, capsicum, lettuce, eggplant, melon, spring onions, potatoes, squash and pumpkin, radish, sweetcorn, sweet potato and tomatoes. It’s very difficult to cover every climactic region worldwide for a specific month, but hopefully, this guide will at least point you in the right direction and get you organising your plantings for the month ahead. We all have areas of our garden that could do with a bit of a tidy up, we had one that seemed to be permanently covered in weeds and it made for a depressing view from our bedroom windows in the morning. Something had to be done, so we came up with this plan to turn it into an attractive and productive little garden area. It was fairly inexpensive and very quick to do, especially if you can rope in a few children to help out! A desolate, weed prone area. 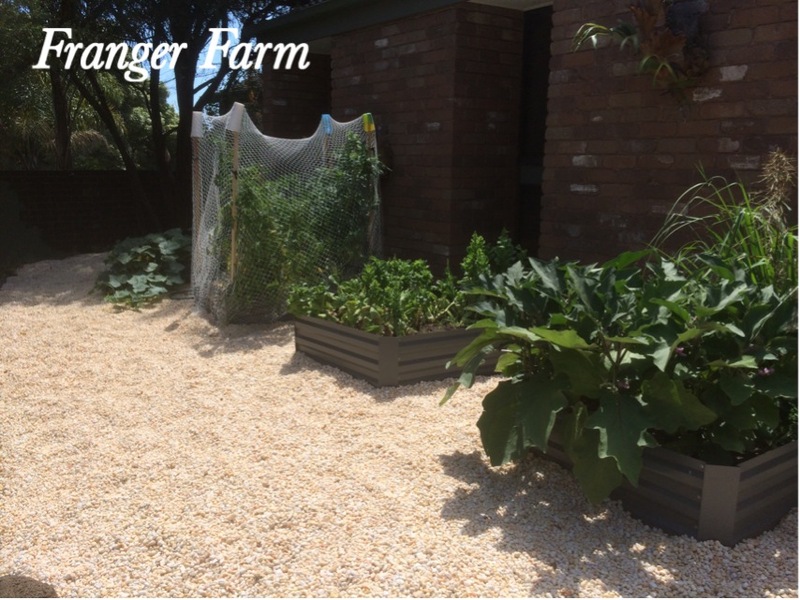 We began by purchasing some ready made raised vegie beds, but if you’re unable to buy these, you can make your own out of any suitable materials you have to hand, old apple crates also make great raised vegie beds. We moved them around until we were happy with what their final positions would be. Level the area if needed. 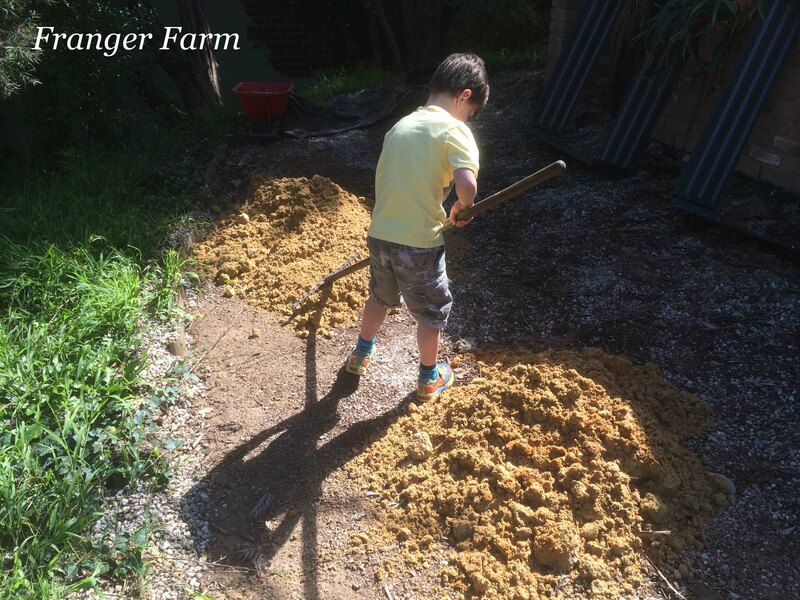 Next, we levelled the area with some sand so that our raised beds would sit nice and flat. Rolling out the anti weed mat. We rolled out anti weed matting across the entire area to hopefully cut down on the return of the dreaded weeds later on. The raised beds on top of the weed mat. 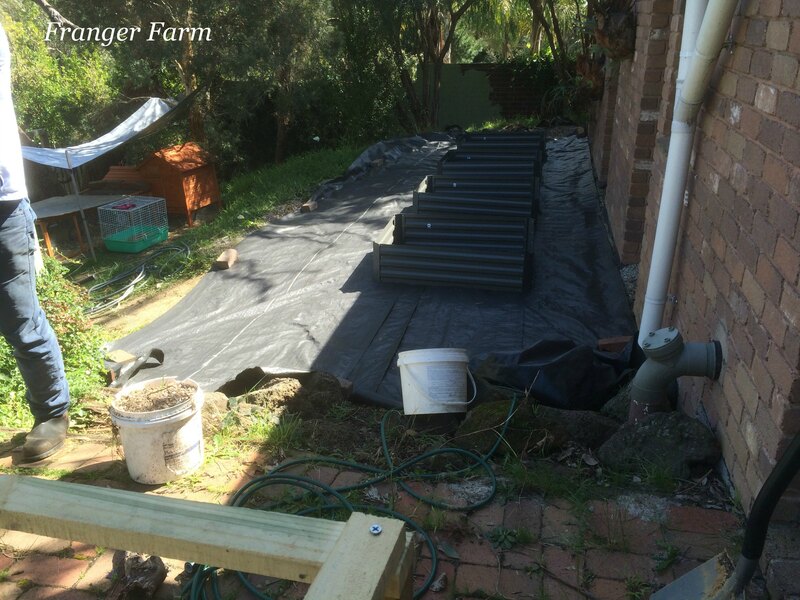 The raised beds were then placed in their final positions on top of the weed mat. 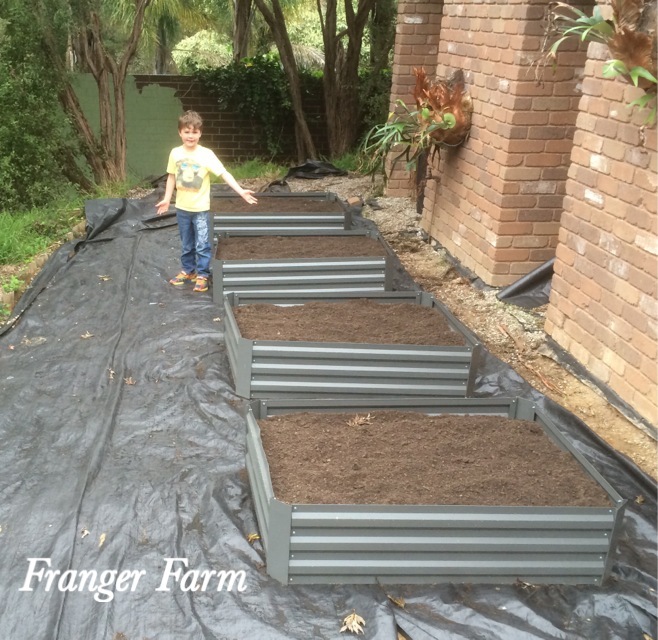 Next, we filled our raised beds with some soil suitable for growing veggies. 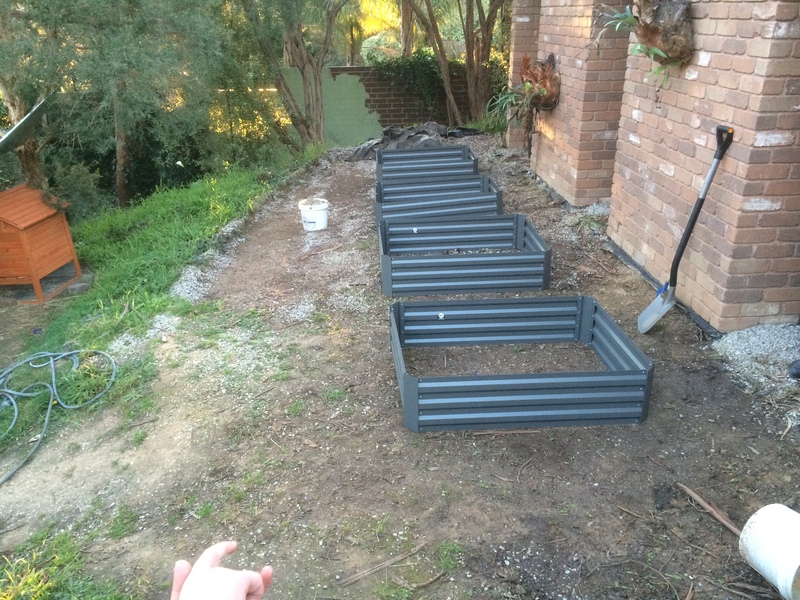 Raised beds ready to be planted up. We planted our raised beds up with a variety of different veg, including cucumbers, tomatoes, lettuce, radishes and eggplant. 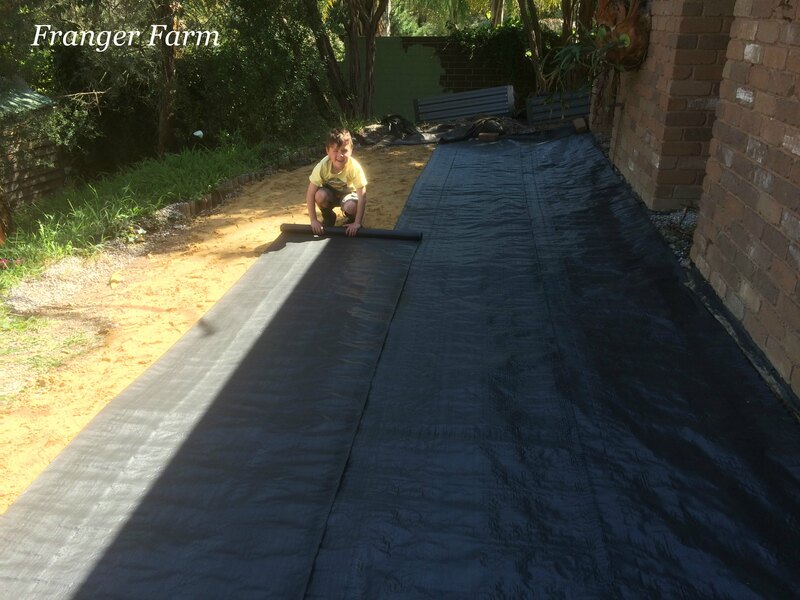 Finally, we covered the weed mat in a thick layer of gravel to complete the transformation. So now we another productive area in our garden and we’ve banished the ugly view fro our bedroom too. If you can think of an area in your garden that could do with some TLC, why not try this simple idea. The perceived wisdom about growing veg is that it needs full sun for at least six hours a day. However, you needn’t despair if you have a fairly shaded garden, there is some veg that will grow with fewer hours of sun. As a general rule, veg that you grow for it’s fruits, for example, tomatoes, cucumber, capsicum, eggplant etc. will need their full six hours of sun to be really productive. However, plants that you grow for it’s leaves, lettuce and spinach, and roots, carrots and beetroot, will grow on as little as four hours a day. 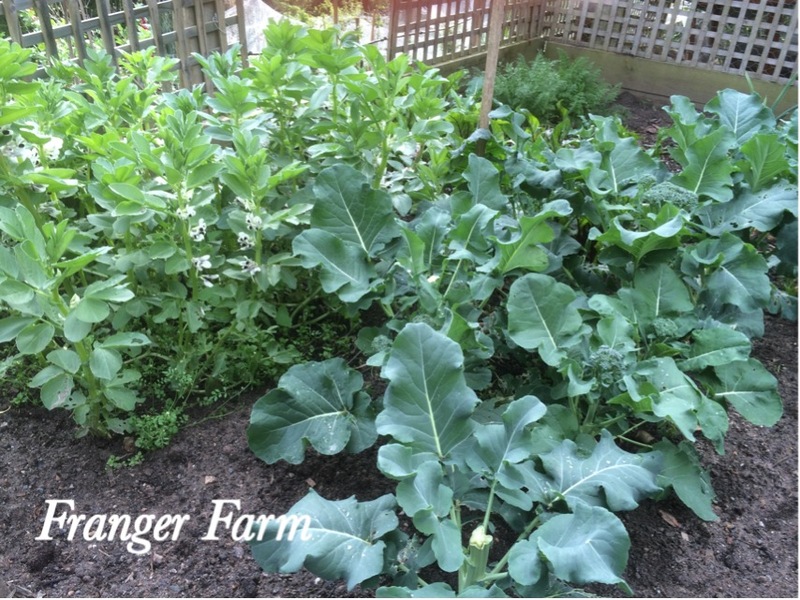 Also peas and beans are fairly shade tolerant and will produce well with fewer sunny hours than other veg. Here’s a quick rundown for you. 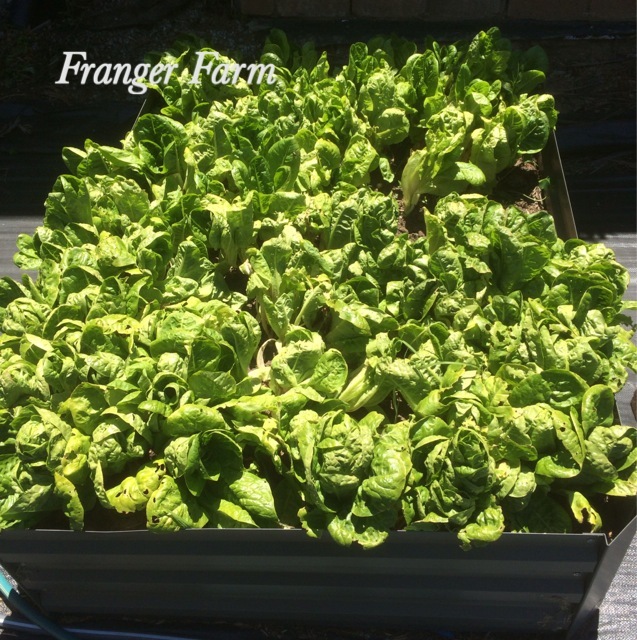 Leafy veg such as lettuce and spinach. Leafy veg, such as lettuce and spinach need only three to four hours of sun a day. The same applies to other leafy veg such as Asian greens and Kale. 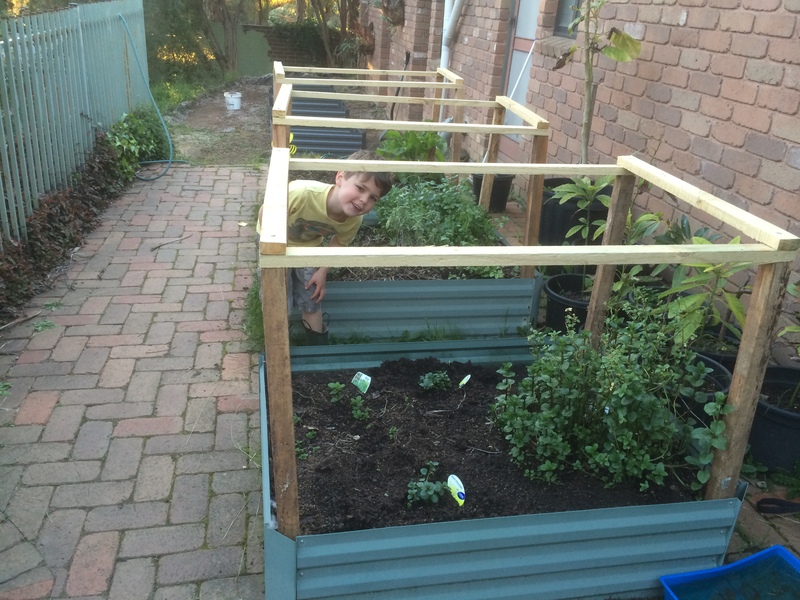 Many herbs will grow in partially shaded conditions. There are many herbs that will grow in less than perfect conditions. If you can’t spare a spot in full sun all day, you should grow mint, parsley, oregano and chives. carrots don’t mind reduced sun hours. Root vegetables such as carrots, beetroot and radishes will cope with four to five hours of sun a day, although they will take longer to mature than the same plants grown in six or more hours of sun a day. peas and beans will grow in partial shade. 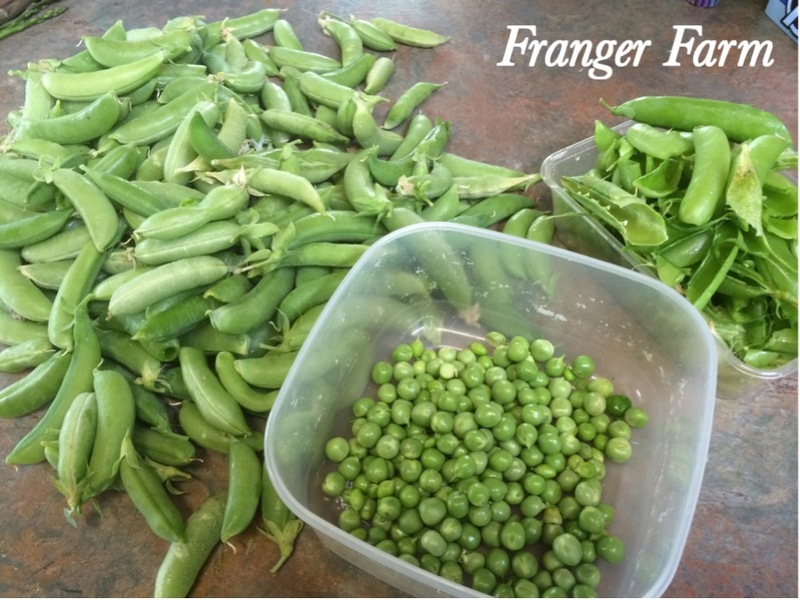 Another great crop that will get by on four hours of sun a day are peas and beans, although, as in the case of root veg, they will be slower growing than the same crop grown in six hours of full sun a day. So, you can see from our short guide that it’s absolutely possible to grow a great variety of different vegetables and herbs even if your garden has less than ideal conditions in the sunny hours department. 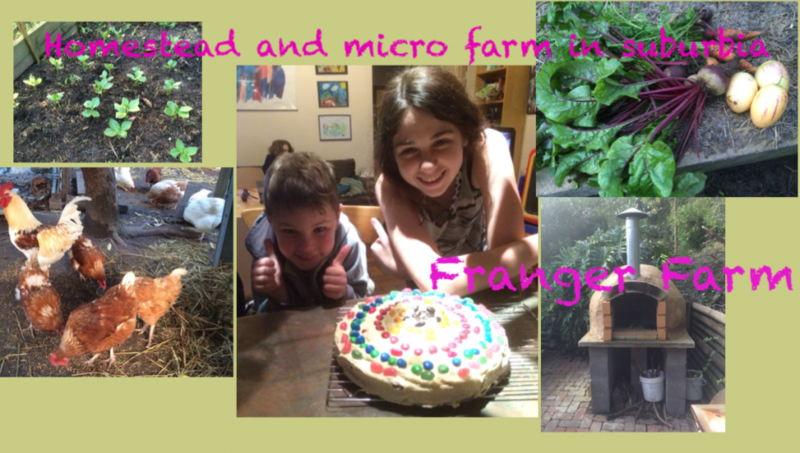 Start sowing that lettuce now!